Now that the warm weather is officially here, it’s time to start thinking about where you want to take your summer vacation. Many people will flock to somewhere tropical, like Hawaii or Mexico. Those that can afford it may head straight for Europe. But if you’re looking for a fun and affordable trip to take this year, why not consider a classic American road trip? If you’re imagining being cramped in a stuffy car for hours on end and staying in dirty motels, think again. Road trips can be enjoyable and relaxing and you can even make them a bit luxurious. You just have to know the right tricks. 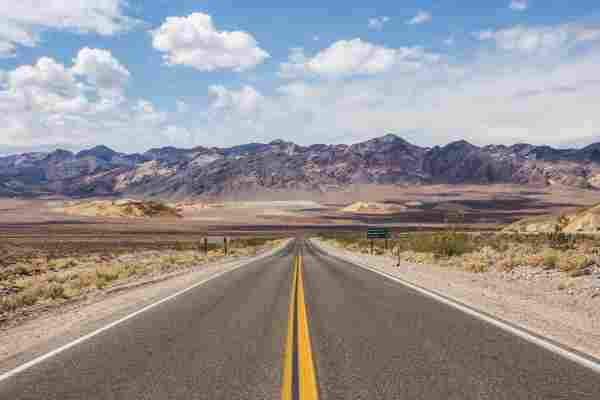 In this road trip guide, we’ll cover how to prepare your vehicle for optimum comfort, where to go for the best road trip attractions, as well as general tips and tricks to ensure your summer vacation is fun and memorable. The first thing you need to decide for your road trip is if you’re going to rent a car or take your own. If you decide to rent a car, there will be a few expenses including the daily charge plus fees for going over the limited mileage allowance. The advantage of taking a rental car is that you can pick the best type of vehicle for your trip. If there’s a larger group going, you’ll want a larger and more spacious car. If it’s just a few of you going, you might want to opt for a convertible so you can enjoy the wind in your hair as you cruise down the road. A rental car also comes pre-cleaned and tuned up. If you decide to take your own car you’ll need to take a few extra steps to ensure your car is ready for a long trip. First make sure your car is reliable enough to put a fair amount of miles on it. You’ll need to take it in for a tune up to get your fluids filled, tires pumped, and brakes checked. You should also plan to give it a deep clean. Throw away trash and take out any unnecessary junk that is taking up space. Vacuum the interior to remove excess dirt and pet hair. 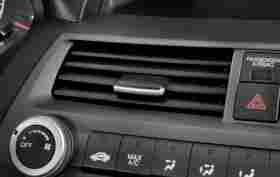 Also be sure to give the dashboard a good wipe down to remove any dust that could cause allergies to flare up. Once you’ve decided on a vehicle, gotten a tune up, and given it a deep clean, you’ll want to prepare it for optimum comfort and safety during the drive. Make sure you have all documents you may need in the glove compartment such as insurance and license and registration. Place all luggage in the trunk, but don’t pile it too high that you can’t see out the rear window. Pick up a pack of water bottles and snacks from the grocery store for the road. Put them where they’ll be out of the way but still easy to access without having to pull over. Good road trip snacks are light, dry, and won’t perish quickly. Think crackers, chips, nuts, candy, pretzels, cookies, protein bars, etc. If you plan to bring fruit or sandwiches, make sure you either bring a cooler or eat them the first day. Having perishable foods in the car for a long period of time can cause odors and attract bugs. A roll of paper towels is good to have in case of spills or to wipe your hands and a grocery bag can be used as a small trash bag for the car. When packing for a road trip, you don’t want to overdo it. The less space you can take up in the car the better, so try to fit everything in a duffel bag or carry-on suitcase. You’re going to be spending a lot of time in the car so bring comfortable clothes that breathe easily. Two pairs of shoes should be plenty – a pair of tennis shoes for any hikes or long walks you might take and a pair of sandals for the beach, lakes, or pools you stop at. Don’t forget a swimsuit and one semi-nice outfit in case you go out to a nice restaurant or the bars. Make sure you have a small toiletry bag with the basics such as toothpaste, deodorant, contact solution, etc. Bring a bottle of shampoo and conditioner that everyone can share, rather than everyone bringing their own and taking up more space. You’ll want to bring the essentials as well, including sunscreen, sunglasses, a hat, and a sweater for any cool evenings. 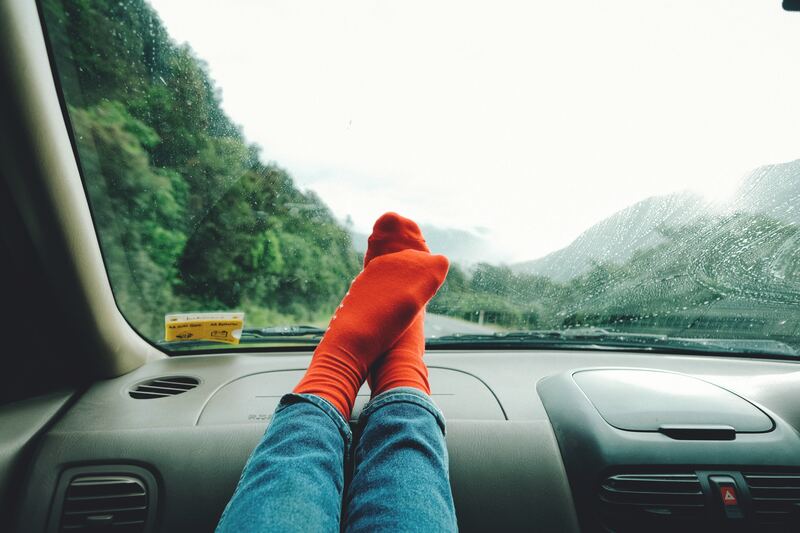 Every good road trip needs an amazing playlist to keep the energy high during those long stretches of road. If you have Spotify, you can put together your own playlist or browse from thousands of other user’s playlists. The great thing about Spotify is that you can download songs or playlists for use offline when you don’t have Wi-Fi or data. If you have unlimited data, Pandora is a good option for listening to a mix of songs in a certain genre, although you may find yourself without service when you’re driving in the middle of nowhere. If your car has a CD player you can bring a few CD’s for those times when you find yourself without service or any good radio stations on. As long as you have some form of music you’ll be set. Car games are a great way to pass the time when you need a break from listening to music. There are so many classic car games that everyone can enjoy and participate in, like 20 questions, the alphabet game, the celebrity game, I Spy, and more. Just Google “car games” and you’ll find loads of options. Google Maps lets you download the maps of the cities you’re planning to visit so you can access them when you don’t have wifi or data service. Audible is an app with thousands of audiobooks available for download. These are great for listening to on road trips as they can be a nice change of pace from listening to music. Airbnb or Expedia. You can use these to book your accommodation while you’re on the go. Roadtrippers is an app that helps you create your road trip itinerary, helps you discover cool places to stop at, and lets you book hotels. A road trip should be spontaneous with just a light plan in mind. You’ll want to decide how long you want your trip to be as well as any specific destinations you want to visit. Some popular road trip destinations are the California coastline, the Grand Canyon and surrounding parks, Mount Rushmore, Yellowstone, or you could even do a cross country road trip hitting some major cities throughout the course of the trip. 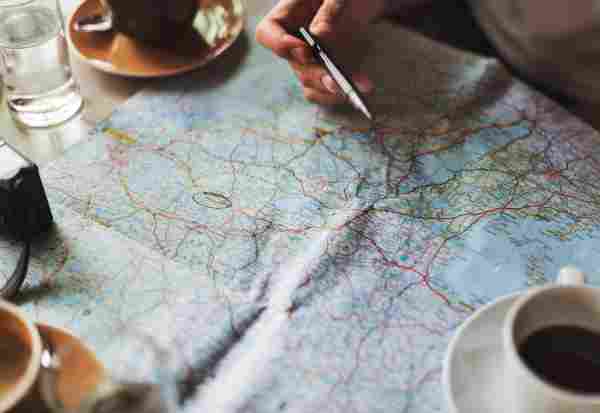 Having a few destinations in mind will give you a place to start and then you can research places to stop and visit along the way. Just to be safe, you should keep someone else informed of your whereabouts each day. Plan to check in with them every night by a certain time so that they can notify the proper authorities if necessary. Also, make sure they have access to your itinerary so they have a rough idea of where you were supposed to be if they don’t hear from you. 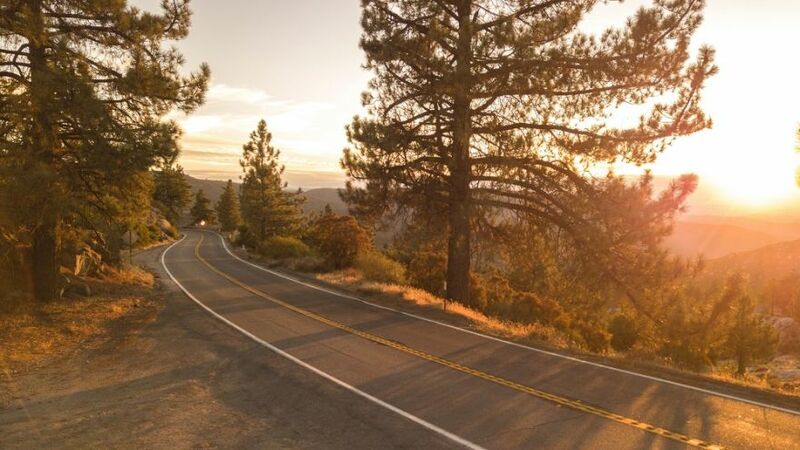 Are you inspired to take a road trip now? Not only is it an affordable vacation but it’s a great way to bond with friends or family. These tips should hopefully prepare you for a comfortable, safe, and enjoyable summer road trip. So what are you waiting for?! Gather your group and go get packing!